Making people smile is something that donkeys seem to be gifted at. 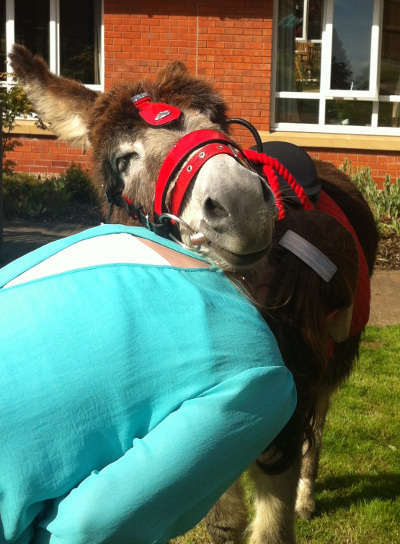 When people are ill, our donkeys can come in to brighten up their day, take their mind away from their illness and spread a little love. In addition to the obvious benefits, research has suggested that donkey assisted therapy could be specifically beneficial for those suffering from an illness: "Animals can affect profound physical changes in humans, by lowering our blood pressure and reducing stress. Stroking soft fur can enhance memory, shorten recovery time after an injury, help curb depression, open lines of communication, and even increase a person's chance of survival after a heart attack. A visit with a pet both calms and cheers people" (Animals as Healers, http://www.dailyom.com/articles/2005/481.html). Anyone who has been admitted to hospital knows that overcoming boredom and maintaining a positive attitude is sometimes very tricky. 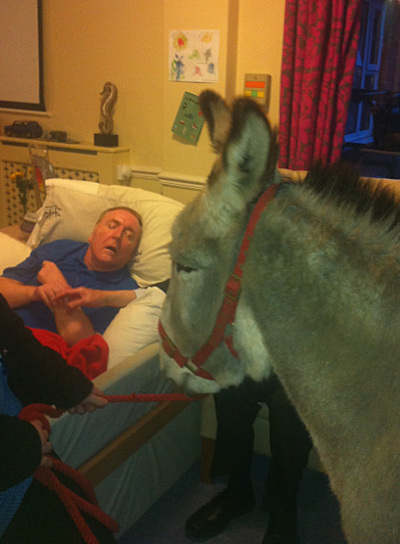 Many patients crave something to take away the monotony of the day and we feel that seeing our donkeys come into a ward or bedroom, bells jingling, looking for cuddles, fuss and the occasional proffered carrot can alleviate boredom and give patients something different to think about. 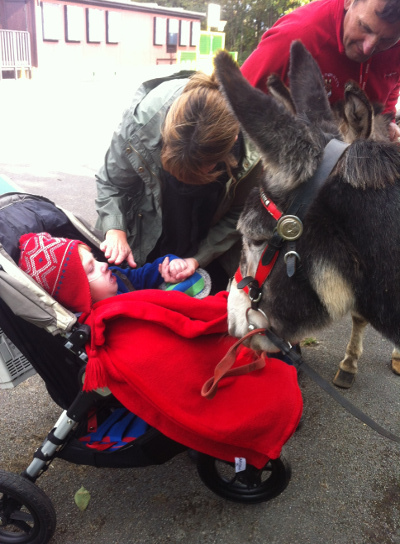 Like all of the work we do, our donkey therapy visits can be tailored to suit the specific needs of each establishment that we visit. 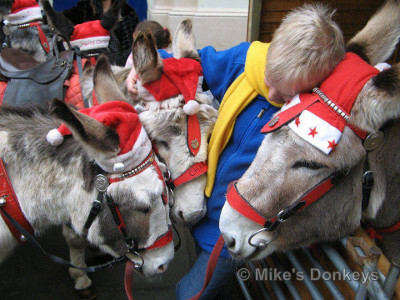 We can provide one donkey who is happy to work on his own, or a team of donkeys. We can provide rides outside or just do meet and greets inside a building. 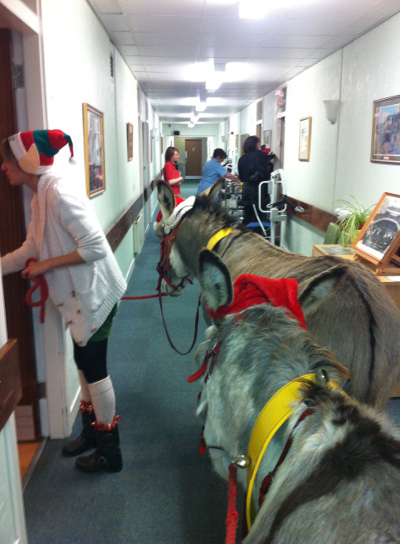 Our extra special donkeys have been trained to go into lifts and bedrooms and are not unsettled by wheelchairs, crutches etc.